Normally, we are used with relational databases and relational database management system like MySQL. We can use to manipulate and return related data in the relevant format by execution of relational queries. Big Data Graph Database Uses Graph Structures for Semantic Queries to Represent and Store Data. 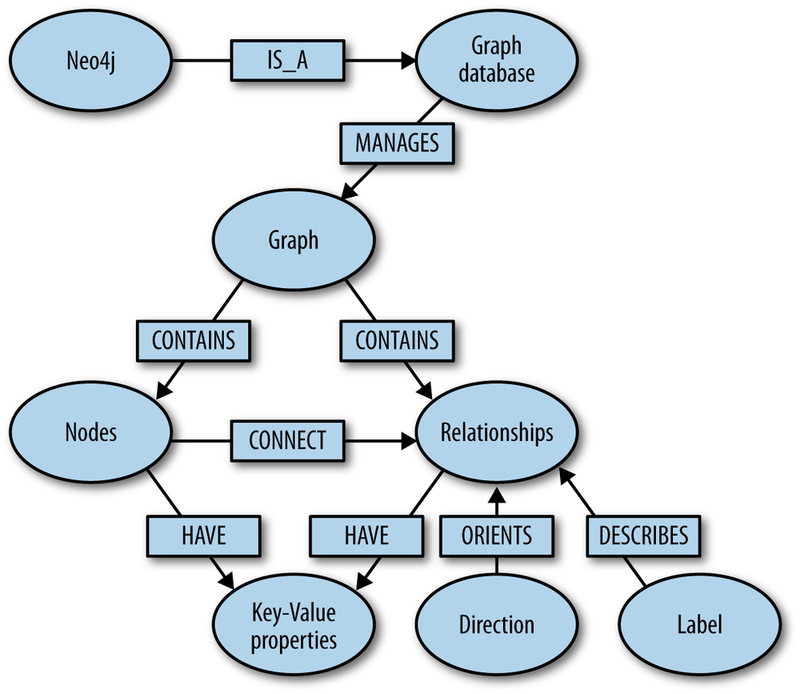 Here is List of Graph Data Model. Their integrated query engine may enable integrated querying for relational and graph data using OpenCypher and SQL query language. Multi-Model database may supports the relational and graph data model at the same time. Properties in graph objects can be offered to be handled as JSON documents. It is possibly obvious that we are listing some of them with different features. Graph databases are based on graph theory. Nodes represent entities such as businesses, accounts. They are roughly the equivalent of the record, relation, or row in a relational database. Edges are the lines that connect nodes to other nodes to represent the relationship between them. Properties are germane information to nodes. For example, if this website is one of the nodes, it might be tied to properties such as we URL, related articles, or words that starts with the phrase “Big Data” or B as letter. List are not according to preference or priority, they are just names. Web searching with unknown name will return your wanted usage and/or questions on StackOverflow (which is practical to many). EliasDB – a lightweight graph based database that does not require any third-party libraries. NodeXL – A free, open-source template for Microsoft® Excel® 2007, 2010, 2013 and 2016 that makes it easy to explore network graphs. GCHQ Gaffer – Gaffer by GCHQ is a framework that makes it easy to store large-scale graphs in which the nodes and edges have statistics. AgensGraph – multi-model graph database for the modern complex data environment. Apache Giraph – implementation of Pregel, based on Hadoop. Apache Spark Bagel – implementation of Pregel, part of Spark. ArangoDB – multi model distributed database. DGraph – scalable, distributed, low latency, high throughput graph database aimed at providing scale and throughput, with low enough latency to be serving real time user queries, over terabytes of structured data. Facebook TAO – TAO is the distributed data store that is widely used at facebook to store and serve the social graph. Twitter FlockDB – distributed graph database. Google Cayley – open-source graph database. Google Pregel – graph processing framework. GraphLab PowerGraph – a collection of high-performance machine learning and data mining toolkits built on top of the GraphLab API. GraphX – resilient Distributed Graph System on Spark. Gremlin – graph traversal Language. Infovore – RDF-centric Map/Reduce framework. Intel GraphBuilder – tools to construct large-scale graphs on top of Hadoop. MapGraph – Massively Parallel Graph processing on GPUs. Neo4j – graph database writting entirely in Java. OrientDB – document and graph database. Phoebus – framework for large scale graph processing. Titan – distributed graph database, built over Cassandra. This Article Has Been Shared 5322 Times! Peoples often ask what Is Function-as-a-Service (FaaS). This article discusses what FaaS is; it’s principles, types, benefits and limitations. Cite this article as: Abhishek Ghosh, "Big Data Graph Database : List of Graph Data Model," in The Customize Windows, March 8, 2018, April 23, 2019, https://thecustomizewindows.com/2018/03/big-data-graph-database-list-graph-data-model/.